Koreans have the unique characteristic of lyrical sensibility, using music to express their emotions. Traditional Korean music can be divided into music listened to by the royal family and by the commoners, each differing greatly in style. Jongmyo Jeryeak, royal ancestral ritual music, the representative royal court music played during ancestral rites, was solumn and splendid. In contrast, the commoners who wished to overcome the difficulties of the working class usually sang folk songs and pansori, a traditional Korean music that narrates a themed story. 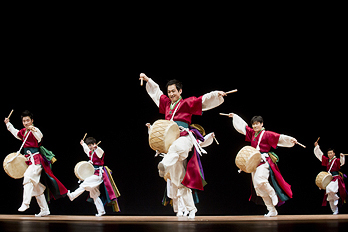 With a distinct, inimitable sound, rhythm, and singing technique, pansori was designated as a Masterpiece of the Oral and Intangible Heritage of Humanity by the UNESCO. 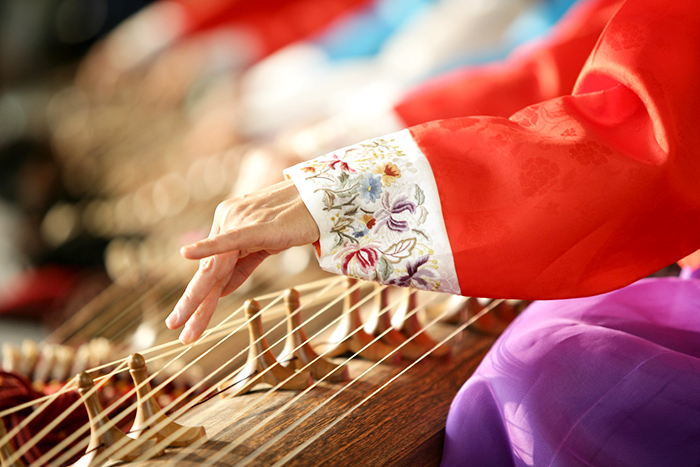 Traditional Korean music has also greatly influenced Korean pop music. Recently, there is a growing trend of fusion art troupes where traditional Korean music is combined with contemporary elements. 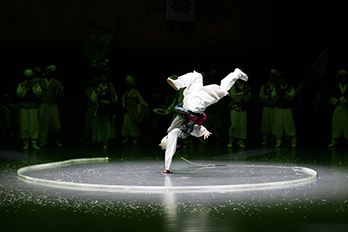 Performances such as "Nanta" and "Gugak B-boy" were created through the mix of traditional Korean rhythms and rock music. Such fusion music has since been receiving attention both locally and abroad, showcasing Korea's important cultural code to the world.